Boards of directors are functioning in a heightened atmosphere of enhanced oversight, risk management, and expectations. Boards are also constantly evolving to mitigate modern risks facing organizations regarding cybersecurity, technology, and sustainability. Because of these contemporary concerns, all boards should engage in a thorough and comprehensive reporting strategy to ensure that all stakeholders are properly informed for the welfare of the organization. Board reporting can be complex, especially with a framework of federal and state laws and regulations. 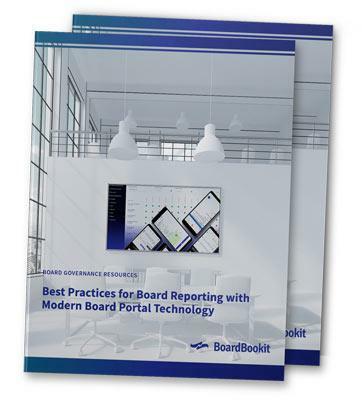 This guide explores best practices and how board reporting software can keep boards informed for optimal oversight.